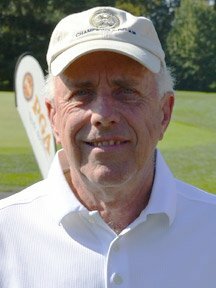 Chuck Milne of Vanco Driving Range (Vancouver, WA) won the PNW Senior PGA Championship by two strokes over Jeff Shaw (Seattle, WA). Milne posted a final round of 66 to come from behind for his second title. He previously won this event back in 2000. Milne also won the Hugh Starkweather Award. 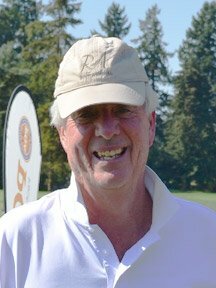 Ted Wurtz of Meadowmeer G&CC (Bainbridge Island, WA) won the Senior Division by one stroke over David Bobillot of Eaglemont GC (Mount Vernon, WA). Mike Coury, Executive Director of the Western Washington Chapter (Kent, WA) won the net competition in the Senior Division by one stroke over Patti Marquis of The Links GC (Post Falls, ID). In addition to Milne, Jeff Shaw, Fred Haney, Mark Gardner, Joe Carranza, Jeff Coston, Rob Gibbons, Jeff Marsh, Jim Pike and Brent Murray all earned spots into the 2012 Southworth Senior PGA Professional National Championship at Creighton Farms & River Creek Club in Virginia – October 11-14, 2012. Ted Wurtz shot his age both days! The Senior PGA Professional Championship was established in 1952. This very popular event, for those who are 50 years and older, has seen a major jump since the days of old. Some can remember all the way back in 1965 when Harry Umbinetti was the top money winner of the event taking home a whopping $250 dollars. Back then, the championship was held at the Yakima Elks’ Golf and Country Club with only 21 professionals battling it out for the mere sum of $920 dollars. Throughout the 60’s, 70’s, and 80’s, the Pacific Northwest Senior PGA Championship has seen many timeless and popular venues. Places such as Royal Oaks Country Club, Eugene Country Club, Manito Golf and Country Club, and Fircrest Country Club have all been in the mix since the beginning. The famous Bob Duden won the championship six times during the 70’s and seven times overall. The Senior PGA Professional Championship is a 36 hole individual competition. The top 8 finishers in our Section PGA Professional Championship will advance to the 2012 Senior PGA Professional National Championship at Creighton Farms, Aldie, Virginia and River Creek Club, Leesburg, Virginia on October 11-14, 2012. Jeff Coston is already exempt for the Senior Professional National Championship after winning this event in the past. As a new feature to our tournament program, results will be posted at regular intervals throughout the day at https://www.pnwpga.com/pdf/resultssrpga12.pdf “Almost live scoring” will begin at 10:00 am each morning after the groups begin turning. Be looking to see if one of your friends posts a low score!